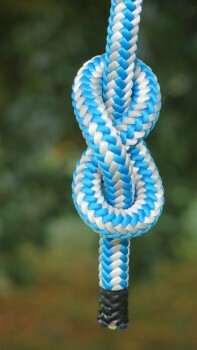 Easy and quick to tie the figure eight makes a good stopper knot. Make sure that you keep an eye on it as it has a tendency to shake out. Also see the Barrel knot as an alternative stopper knot. There’s no need to hit the volume as this video has no sound.